In this podcast episode, New York Film Academy sits down with Visual Effects pioneer Craig Caton Largent. His career has spanned decades and includes classics like Jurassic Park, Terminator 2, How to Train Your Dragon 2, Tremors and oh yeah, he's also NYFA's Chair of 3D Animation. Eric: Hi. Welcome to the backlot. I’m Eric Conner and today we got a really special guest, the fabulous Craig Caton-Largent. Now, Craig started his career doing practical effects including puppetry. And if you’ve seen any movies you’ve seen at least one of his films he’s worked on everything from Jurassic Park, Terminator 2, Ghostbusters, Predator. He’s done it all. He also switched over though he’s one of the guys who was able to go from animatronics and puppetry into more CG work and has recently worked on How to Train Your Dragon 2 amongst many other animated films. So after working on dozens and dozens of films, he came to New York Film Academy about four years ago as an instructor in our animation department and about two years ago he became department chair. And ever since the department’s only grown gotten stronger and better and we are a better school for having him here. So ladies and gentlemen. The fabulous Craig Caton-Largent. Craig Caton Largent: Thanks for having me on your show. It’s a really cool. Eric: No problem I’m glad you ventured down to Burbank studios to be with me today. So his career spans I mean it’s decade now. Right. You started in. Craig Caton Largent: Yeah 39 years ago. Yeah. Eric: So you’re hitting 40 years. Craig Caton Largent: Yeah, I’m going coming up on 40 – this next April will be 40 years yeah. Eric: So if we cut to 40 years ago the slightly younger version of yourself would he imagine you did all this. Craig Caton Largent: Oh no way. No, not even. I would. It would be like in my dreams to like like have achieved what I got to. Yeah, I was just hoping to work on a couple movies and become like a regular makeup artist for a TV series or movies or something like that and never in my wildest dreams thought I would end up working on some of the most iconic creatures in the 80s and 90s. Eric: So your first professional gig was what then. What project. Craig Caton Largent: The very first. Well, the first one that people would recognize would be Metalstorm the destruction of Jared Synn in 3D. Craig Caton Largent: yeah it was a Charlie Band a movie. Eric: What work did you do on that. Craig Caton Largent: There was a the main work that I did on it were there these sandworms that come out of the ground and have like this fight. And he blows them up with his laser. So that was one of the first puppets I ever built and also the first puppeteering gig that I got to do too. We built a big like it looked like a boxing ring and then we filled it with vermiculite and then we had holes in the bottom of it to stick our hands through and put the puppets up through the vermiculite. Eric: So you’re working the puppets but you’re also basically building puppets right. Craig Caton Largent: Yeah that was I found out really early. If you were the guy that built the puppets you were usually the guy that puppeteered them. So it wasn’t the people who sculpted them and it wasn’t the people who were making the molds it was the guys who were doing the actual mechanics of the puppets because they kind of figured that if you were doing the mechanics that you already knew how to knew to move the puppet and how to puppeteer it since you were doing that that part as well. Eric: So it’s almost like you would custom fit it to you. Craig Caton Largent: Absolutely. For me, though it was. I always had this philosophy of what I wanted to call puppeteer friendly puppets. So I wanted to I wanted to build puppets that would actually do the job for you. So you all you had to do is put your hand or control the puppet and it would literally almost perform for you. So that part of its performance was actually in its design. And so that was important to me because early on I would make these puppets that were so hard to control and so hard to manage that. That by the time I was done puppeteering them on set I would my hands would be a wreck and I would just go. That was a horrible performance because I wasn’t able to control the puppet. Eric: Kind of like trial and error too. Craig Caton Largent: Oh yeah there was there was a lot of that in the early days where you realized you’d gotten to set and you made a horrible mistake. Eric: Do you have anyone in particular you remember? Craig Caton Largent: Well, there was there was a puppet that I had built in four days. It was a very quick show. The name of this movie was Sorority Babes and the Slimeball Bowl-a-rama. We shot in a bowling alley down near San Diego at a nighttime and. And so I had two weeks and five thousand dollars to make a full on fully articulated speaking main character for a movie. And so I did that but it was like you know 24/7 like sculpting for four days in a row and mold making and running this foam and then I actually I built the puppet but they really didn’t have time to build the controls for it. So when I showed up it was one of those situations where you realized that maybe I should have rethought this. Eric: What was it supposed to look like? Craig Caton Largent: So it kind of kind of had a body like imagine a body very similar to gremlins but then the mouth I just replaced with like the muzzle from Audrey II from The Little Shop of Horrors. Craig Caton Largent: The reason I did that because because Audrey II is an amazingly articulated plant. I mean the lip syncs and the stuff that they did were amazing. Craig Caton Largent: And also the secret behind that how they did that was most of the dialogue scenes with Audrey II were shot at 18 frames a second. And slow and so that way it gets speeded up and looks like she’s nailing all of the syllables and all that stuff just hitting all of them. And actually the Slimer ghost on Ghostbusters we did the same thing. A lot of the footage of the slimer ghost was shot at 18 frames a second. So that way when you see it in the film you just got that little more frenetic frantic feel to him because he’s just slightly speeded up. It was actually a really popular technique back in those days because we would we would change film speeds for for shooting miniatures and stuff in order to get the right scale for miniatures. And so it wasn’t for for the camera people who were doing it. It wasn’t that big of a leap for them because they were already used to it like oh we wanted to go this fast we’ll shoot at 18. And the Monster Makers are like sure let’s do that. So yeah. Eric: Well even like fight scenes chase scenes I mean so much of that was manipulated by camera speed. Yeah you know so that it just makes everything look more dangerous than it is. What are some other ones that you could think of where you know you put all this time energy effort in and all sudden, here’s the moment? Craig Caton Largent: There was this one effect that we did on this movie called Fright Night. It was it was a hand transformation. So it was a it was we’re a human hand transforms into a werewolf paw and I decided to do it reverse and film it in reverse and so what we did is I had built this werewolf paw with all these like muscles and tendons and then covered all that with a gelatin covering of a human hand and then we melted it and it took like three months to to engineer this werewolf paw and it’s literally – the first time we shot it, it just didn’t work at all. It just failed. So three months later here I am doing another one. So it’s like the six month gag. Right. So six months later we we film it and it never worked as good as I wanted it to. But the second take is the one you see in the movie and it happens so fast it just kind of like – Blink hand. Oh OK.
Eric: And then you see the film and you’re like I worked on that for how many hours. Craig Caton Largent: Hours and weeks and months. Eric: And for yourself then do you and especially like when you work on something that’s cut out of the film does it bruise your ego? Or is just like, well I got paid I did my job? Craig Caton Largent: Yeah. Back in the early days like there was like it was like what we thought was a really great shot and they got cut out of the movie. We were kind of like oh well that’s their loss they missed it. But but nowadays like like I I just finished working on an animated feature where we did 31 shots. None of them are being used. And then they decided to go a different route. And but we got paid. And yes you just can’t. After so many years you just don’t worry about the babies getting thrown out with the bathwater. Eric: It’s like if you treat these things too precious then you’re going to be constantly frustrated. Craig Caton Largent: Right. Exactly. You need to be really judicious and almost inhuman at some point. Eric: Right so it’s so I mean I think what’s hysterical is like kind of hearing about. I mean I guess we’ll call it the human factor. I remember 2010. Craig Caton Largent: There was that one. Yeah we can talk about that. Eric: That’s a great story to share, so 2010 the sequel to 2001 if you remember in 2001 the starbaby I’ll just. Craig Caton Largent: Yeah. So there is in the end there’s a Starchild and we won’t go into the plotline about it. But again in 2010 the star child makes an appearance. And one of the common materials that we were building puppets at the time and still is as we were using foam latex but when you have you make these foam latex pieces from molds and wherever those mold pieces come together you have a seam. And it was almost impossible to get rid of this on the foam latex so we decided to skip using foam latex and move to using gelatin and it was really easy to get rid of the seam because all you needed was like a hot washcloth and it was dissolved. We took him to set and we filmed him and we decided to break for lunch and the still photographer asked if if he could take a couple of pictures and we said sure. And he asked if we could leave the light on it was these great big hot movie lights and so he did. He took his pictures and then he left for lunch and he forgot to turn off the light. What happened was these lights had caused the left side of the star child’s face to melt. So imagine a baby with a stroke you know with the whole left side of the face sagging down and you know something’s drastically wrong. So the photographer he was also the first one back and he sees this and he panics and he he spins around and he smashes face into a pole. And knocks himself unconscious and literally like a minute later we come walking into this and we see this dead guy on the ground and this stroked out Starchild and, what happened here?! But yeah I was I was a big whoopsie. Eric: I mean other times you could think of were like I mean it’s a little bit different but like in Terminator 2 with the famed. Craig Caton Largent: Oh the puppeteering thing. Eric: Yeah Terminator 2 one of the most iconic moments in the whole film. Craig Caton Largent: Yeah. So there’s. We’re talking about donut head. Craig Caton Largent: So so in Terminator 2 there’s this puppet we called him donut head and it’s the the T 1000. And Linda Hamilton shoots his face with a shotgun and and all of a sudden his right eye is nothing but this giant hole all the way through his head. And so I had I had made this puppet. It was basically a big hand puppet so my hand was up in his head controlling his head. And then we had another puppeteer who was controlling both his shoulders just to bring to get the shoulders to come to life. And then on top of that we also had the actor Robert Patrick. We were using his real left arm to cover up the puppets face so we would do this reveal. So we were all smashed together as close as could be and we do this reveal. But the gag was there is a rotating collision beacon light that needs to show up. Through the hole of this puppet behind him and trying to wrangle this puppet into this position while you’re fighting against two other puppeteers is almost impossible to get it into just the exact micrometer position. We succeeded on take four and in true James Cameron fashion he said that was perfect. Let’s do it again and we couldn’t do it again to save our lives in fact it got so bad that James Cameron was wondering if I even knew what I was doing. At points though he gets up and he’s like four inches away from my face literally it’s like we’re on an old soap opera or something and he’s screaming at me. “Do you know what you did wrong? Do you know what you blankity blank blank blank did wrong?” And I go.” Yeah I didn’t get the eye in the eye light and the collision beacon.” and he went from like raving monster to like totally calm guy just looked at me in the face and said, “okay well don’t do it again or I’ll kill you.” Well we didn’t did it again and we had to break for lunch. Next thing you know there’s James Cameron walking next to me and he’s saying hey you know I really gave it to you back there but don’t worry this is going to be like one of the signature shots in the movie and it’s going to be on the cover of Cinefex. And absolutely true to to James. It made the cover of Cinefex which totally made my day. James Cameron he’s true to his word. Eric: Except for the part about killing you. Craig Caton Largent: Well there is that we all had t shirts made saying that we know we’re going to heaven because we worked on a James Cameron movie. Eric: Speaking of James Cameron who went from like these low budget like Roger Corman. In case the name doesn’t ring a bell Roger Corman is like the ultimate low budget producer. He’s produced 500 or so films. Craig Caton Largent: At least yeah. Eric: Maybe even more. But Roger Corman gave Cameron his start and Joe Dante I think Coppola might have worked with him at one point with Jonathan Demme I believe went through Corman Nicholson. Craig Caton Largent: He taught people how to make movies on a shoestring budget and he can make a viable you know 90 minute movie for ninety thousand dollars and would make money off of it. Eric: And it would be like sci-fi or horror so like genre that actually might cost a buck or two to get across the visuals. Craig Caton Largent: And he also showed people how like like he holds the record of number of setups like in a single day. I think he has like 88 camera setups in a day or something like that. And I remember on Jurassic Park we got 44 one day and we were like yeah we were, we were really jazzed that we gotten like halfway to Corman the thing about Jurassic Park is we over planned everything on that movie. I mean like every single shot like we did storyboards we did a little stop motion animatics we did paper cut outs that we ran around with on set and did timing with. And we we did hand puppets and we we put it all together and then we had this amazing shot by shot blueprint to make the movie. But because it was so planned people don’t know this but we finished 15 days ahead of schedule and 20 million dollars under its budget. Eric: Unbelievable. I think too what’s so interesting about Jurassic Park I mean besides everything is like that was the transformation that was sort of the moment even though we had computer technology before. Craig Caton Largent: Yeah it’s where we moved it’s were they proved the audience once in a while we could seamlessly blend between the two. Eric: And I know for yourself this was also a transformative moment for your career too. Craig Caton Largent: Absolutely yeah because that’s where I made the switch from doing the practical stuff over to the digital world. Eric: Did you still find yourself kind of doing animatronics and puppetry or really did you kind of go all in on animation or was it somewhere in between? Craig Caton Largent: It was it was an interesting blend for a while because I was still getting calls all the time to do puppets and animatronics. And so as much as I possibly could I would still take those jobs on because I still enjoyed doing them and still do. It got eventually got less and less because I was you know being known for digital stuff and getting more involved with that. Eric: I mean seems like after Jurassic Park like the budgets went up like what did you take from the low budget world over to the high budget world? You know like what tricks or lessons or? Craig Caton Largent: Oh yeah well you know like you know necessity being the mother of invention. So there were there were times like like I was I was working on a fairly you’re going to laugh because it was Star Trek 4 and I’m gonna say it was a low budget movie because. Craig Caton Largent: Yeah the saving the whales.Yeah the one set in modern day San Francisco. In terms of of the what we did for creatures and stuff it was actually an incredibly low budget movie. Their thoughts were that its star trek. We have a guaranteed audience whether we have monsters or not they’re going to come see this movie. But there were there was a couple of these aliens and I had to make a couple of them and I wanted them to have the same paint jobs and I didn’t want to have to sit there and painstakingly try to duplicate each paint job. So I made these these vacuform shells that would fit over the heads and then I cut holes in them and use those as like friskets or templates for my airbrush. So all I had to do was like slap them up against the rubber mask and spray them with my spray paint and then pull them out an instant pattern. And I didn’t have to sit there for like four or five hours. You know like duplicating each one of them. Then one of the guys I was working with named Shannon Shea he went from there he went over to Stan Winston’s to work on this movie called Alien Nation. And they were forced with like you know you know Mandy Patinkin is going to go through like five of these appliances every week and we need to make those patterns consistent. So Shannon goes I have an idea from Craig we did this. And so they incorporated that idea into this much bigger movie and that was one of the reasons they were able to make the movie work. Eric: So John Carpenter you worked with him on Big Trouble in Little China, And They Live right? Craig Caton Largent: And They Live yeah actually want to know what we did on they live as we had been working on this movie The Return of the Living Dead Part II and in the early days of the Living Dead Part 2 we sculpted a zombie monster appliance a day. So after that we had like over a hundred different zombie masks and stuff that we could choose from. And when they live came out they just went through the living dead collection and said we like that one and we like that one and. Eric: For the alien faces? Eric: It seems like every movie I do from this time frame you’ve worked on. You’re one of those guys your IMDb page only tells like part of the story really. Craig Caton Largent: Oh yeah there’s there’s like I there’s not even half of the movies I worked on are on IMDb. You know there were like little movies where I I just like for like for instance there is a movie called Darkman. Eric: Of course directed by Sam Raimi. Starring Liam Neeson. Craig Caton Largent: And it’s just a tiny little deal but they needed a close up of a helicopter instrument panel when the helicopter goes haywire. And they couldn’t do it with a real helicopter you can’t just sit there now make the instruments go crazy. There you go. Cut check gate move on. So I made a miniature helicopter instrument panel for a Bell 206 and it’s only in like three or four seconds like, “oh look the guages are going crazy! OK cut.” You know and so you know you spend like three or four days making something like this. And it’s for three or four frames and then you forget about it and you move on. There was a while in the 80s where I was I was pretty good friends with a lot of the makeup artists who were doing television shows but they were so busy doing the actors and stuff like that that they didn’t have time to do the occasional cuts and bruises and scrapes and the type of stuff that would occur from time to time. And one of these shows was Airwolf and in one episode they just had this guy – they needed to put scrapes and cuts and bruises on his face and then they’re going to put them on the nose of the helicopter and shoot him. And then things moved on and then like maybe two years ago you know Airwolf was like what thirty five years ago. Right? The early 80s. Yeah. So there it is on television on TV Land and I’m watching this episode and I see this guy’s on the nose a helicopter and I see a close up and I’m looking at his face. “Hey you know that’s actually a pretty decent makeup on there. Oh dammit I did that!” and you suddenly realize, “oh that was one of mine.” And you like for some reason I didn’t see interview with a vampire. I worked with worked on Interview With A Vampire. I didn’t see the movie for six years after it came out. And I went I guess I should watch this movie. I went oh the stuff I did on actually worked OK.
Eric: The make up effects in that are pretty great actually and I mean because also that movie like you can’t get away with like you know. Craig Caton Largent: And we we that was in the early days where we were abusing C.G. in movies like you know why do something that would cost us $15 practically when we can spend $150,000 to do it in CG land and we did a lot of that back in those days before we started coming to our senses. Eric: I mean I always have this like fondness and respect for the low budget filmmakers because they find solutions. You know. Craig Caton Largent: Oh yeah you had to be really clever back in those days. One of the cool clever things that we did for the Interview With A Vampire is that there’s this big Southern mansion. It’s like this famous southern mansion with like these giant pillars in the front that has to burn down. Obviously we burned we couldn’t burn down the real one right. But what we did is all we did was we built we built a replica of this building and we painted all black. It was just the shapes. No details. And then we lined it up with a roto mask box we lined it up with the background plate that we shot of the building. So it superimposed the the building and then we lit that on fire. So even like if it’s fire from behind the pillars it ask it’s working as its own mask. So and it’s you know and all you have to do is marry the two pieces of film together and you have an instant fire scene and it looks great. And it did look great and we did everything. You know we’re all by the book. We had fire marshals there because when you do big burns like this you have to have the you know the fire engines and fire marshals there and we lit on fire. And then we could not put it out and it was maybe 15 feet away from the building which was completely covered in black duvetyne. So all of a sudden it went from being this cool effect to a really quick emergency. So yeah the the more fire engine showed up and they put it out and they were going to fine us like ten thousand dollars for this little episode but we pointed out that the whole thing had been approved by their fire marshal and given the stamp approval and like if it’s approved then it should have been good. So we got out of that. Eric: So if you had lets say one creation you have in terms of like you have the most pride for you know and then also on the flip side. Craig Caton Largent: The least. Craig Caton Largent: Might be the stuff. Eric: Is that one of the ones that you sort of shake your head at still. And if you don’t know the stuff is a horror movie that it’s like. Craig Caton Largent: It’s like The Blob. It was like these people discover this stuff in a cave and they think it would be a good yogurt substitute just deal go go with us here yeah. What they don’t know that it’s actually this giant primordial parasite. And once you eat it it takes over your body and you become like a collective hive mind. There are some of the gags we did on that. Yeah because like we were trying to do like an exploding head like they did on Scanners, right? And we knew on Scanners that that when they built the head that like the gelatin that they made the head from was like less than a quarter of an inch thick because it turns out gelatin is really strong! And but we knew this but the director said he wanted like this giant meaty chunks of gelatin splattering about and. And. And so he convinced us wrongly he convinced us to make the gelatin about an inch and a half thick and we had hired one of the most prominent explosive pyro guys in the business his name was Joe Viskocil. He blew up the death star for star wars. That was his big fame. And he’s loading the explosives into this fake head and I’m going. Yeah. How much is that. I’ll never forget he says I’m using 16 times the amount of explosives I used on the death star. Eric: To blow up this one one head. Craig Caton Largent: Yeah and we’re going cool it’s going to blow up good. And it didn’t. All it did is it got really big like a balloon head for a few frames and then it collapsed on itself. So we couldn’t use that take because they needed an explosion so we took that head and we scored it and then we took these giant two by fours scissors mechanism and we stuck like the short end of the scissors into the head to make it go apart. We broke the two by fours we could even get the gelatin head to come apart and so we abandon those effects for some other ones later. Craig Caton Largent: There is there is one single shot that I’m most proud of all the shots that I did. It’s in the kitchen scene of Jurassic Park and the Raptors are chasing the kids into the freezer and then the Raptor goes into the freezer and there’s this really great shot of the raptor smashing against this back wall. This this cabinet filled with food and stuff like that. And you see this raptor smashing into this wall. He really looks like he’s just demolishing it that’s because I actually did. They wanted this great shot. And I just thought I found a way where I could just as the Raptors head started to make contact with the cabinet. I slammed my shoulder into the cabinet as hard as I could. I mean it’s it’s like apocalyptic it’s like you really feel like a 600 pound raptor just slammed into this wall. Eric: Like the part where he slide like he loses his footing. Craig Caton Largent: It’s just this quick shot you can’t see is the raptor hits it and he turns the head and they cut and it ‘s a really quick shot. But when we did the shot everyone went, “whaaaat?” And Spielberg’s like, “we got that in one.” And it just worked really really well and there’s a lot of really great iconic shots in that movie like the window porthole that I’m really proud of where I copied the movie Alien and stuff. That’s one of my favorite shots. But this particular shot. Every time I see it it just works because it did I smashed into that thing so good and so that’s like my favorite shot of all time I think now. When I was doing the Raptors on Jurassic Park I used Kermit the Frogs voice for the raptors the whole time so it was like so you can imagine the Raptor sitting there going into the kitchen. “All right everybody it’s the raptor and I’m getting ready to come into the kitchen grr alright I’m now in the kitchen” I just kind of like gravitated towards Kermit the Frog voice. It wasn’t like a conscious thing. Eric: Well in some ways you’re doing the hand right. Craig Caton Largent: So you’re like hey everybody and it kind of goes when you move your hand you just have to do Kermit with it. “Now everybody welcome to a really big show.” Imagine if I used Yoda’s voice, “my raptor I help you not. But okay. My favorite. I think my favorite movie of all time and the work that I’m really the most proud of might be tremors because Tremors was probably the last pre CG movie. Eric: Yeah like pure puppetry. Craig Caton Largent: Yeah like we did every puppet trick in the book. We did reverse shots we did marionettes. We did cable controlled puppets. Everything you can imagine we did hand puppets. Everything under the sun was there. Eric: The part when I don’t remember if it was Kevin Bacon or Fred Ward who punched one of the puppets was that you by chance? Craig Caton Largent: Yeah yeah yeah there’s. There’s. There’s one shot that I’m really proud of where we took one of these really expensive tentacle mechanisms we made and we buried him in the ground and then I forget the name of the person he’s driving the bulldozer right. And he’s coming down the road. And this thing’s sticking out of the ground and the teeth of the bulldozer look like it just mows this thing over right. Well it never even touched it. So I’m sitting there with the controls right at the last second. And it’s a great shot it works really well. Eric: Yeah that’s what of like. I don’t know. We went over a whole bunch of films but that’s one that’s really especially if you like the genre. It does it so well. Craig Caton Largent: Yeah And when you start looking at the background story of the writers and everybody involved in the movie it just becomes that that even more enchanting and great for you because if you’ve seen tremors I’m going to ruin the ending for you. Craig Caton Largent: In the end of the movie Kevin Bacon runs towards this cliff and he stops at the last minute and the worm keeps going over the cliff. Craig Caton Largent: So where have we seen this gag before we’ve seen it in a dozen Roadrunner-Coyote movies? And the reason we see it there is the two writers are Tremors. Brent Maddock and Steve Wilson they used to be writers for Chuck Jones on the Roadrunner cartoons and that’s why you’ll see all the same gags like they do the fishing with dynamite gag. Wiley Coyote does that with a fishing pole with the roadrunner right and it gets stuck in the cactus and gets thrown back. So that was all that was you know there was all it was all. Eric: I had no idea I had one question for you actually about. Because it’s like we’re talking so much about you know sort of animatronics and puppets. How did it prepare you then for your eventual shift in animation? Craig Caton Largent: The thing that actually I need to even go back before puppets to do this. The thing that prepared me to do puppets was I actually went to school and I became an X-ray technologist. And so I had this great knowledge of how human anatomy worked. I knew exactly how Bones worked against each other because you know you’re taking x rays of them all the all the day long. And so I took that that working physiology knowledge with me into puppet making and all of a sudden when I start making like shoulder joints and you’re having a really hard time getting shoulders to act natural like human shoulders you start thinking hey what if I start making these little poly foam strips like the muscle strips of a shoulder and seeing if it works that way and sure enough it does it. So that carries over to that but then when we go over to into the C.G. world we’re trying to figure out how do we make these puppets move around? And for the longest period of time – so in CG world the puppets they have little skeleton joints and you reach and you grab like an arm bone and then you rotate it to move to animate the arm of this C.G. character. And it became really hard to do because you’re trying to reach in between the skin basically of the character and pick this bone. Sometimes you would get the skin and it’d be really frustrating. So we had this meeting one day and my supervisors said, “Hey Craig you’re from the puppet world. You know how do you control puppets like this? – Well we use cables or we could do like Kermit the Frog where we would use like a rod puppet to control the wrist.” And when I said that this Irish guy named Greg Maguire just belts out this “that’s brilliant!” And he runs off. Right. And about 15 minutes later Greg comes back with this C.G. arm and hand mechanism that has these three little cones under the wrist and each one of these cones is controlling a different aspect of the arm one one cone is controlling the translation and one cones controlling the rotation. The other cone is controlling the scale. Then right then and there this other really brilliant mind a guy named Mark Swain says, “wouldn’t it be better of all those controls were on one?” And Greg goes, “that’s brilliant!” And he runs off. They both run off and they come back 15 minutes later and then they have all the controls on one cone. And that’s how controls got made for the C.G. industry. If you look on any C.G. character now you’re going to see these little spline controls around the wrist and the heads and stuff and we invented that it all came from that meaning and that day of like how you know going back to what we were saying earlier you know necessity being the mother of invention how do we do this. Eric: So now you’ve been working with New York Film Academy like four years. Craig Caton Largent: Yeah about four years now. Eric: And were you was the first teaching you did like here or did you teach before like has this been. Craig Caton Largent: I had done a little bit of teaching other places but not formal teaching like I did here and my very first class was teaching digital environments. I did my whole lesson plan. And I looked at the clock and only 20 minutes had gone by and I still had like two hours left for the class like I covered all my material and I’m just looking at my students are looking at me like I’m a crazy man. Eric: Dense material that you’re covering too I’m sure. Eric: What did we just witness?? Craig Caton Largent: So yeah that was where I had to slow things down a bit. Eric: So now that you’ve been the department chair for almost two years and you’ve taught here for a few years like what’s the shape of the program now at the school in terms of what students are taught what the expectations are when they finish the program. Craig Caton Largent: Well we retooled pretty much the whole whole program. There were there were some things that I felt were were old fashioned and we didn’t really need to do just kind of getting things little more modernized and stuff. But the great thing was that the team that I got that my instructors and stuff I couldn’t get better instructors they were absolutely fantastic so. So I walked in to like this this wonderful team that that I was learning from them which was great but we’ve enjoyed a tremendous amount of growth in our first year. Yeah we’ve we’ve grown over 242 percent. I also think that as we’ve gone along these last four years also that the instructors have become a lot better as well we’ve all matured and figured out better ways to teach this stuff. And that is easily reflected when you look at the quality of our students work now compared to the stuff that you were seeing like four years ago. It’s it’s like night and day with what they’re doing. Eric: So a student comes here what are some of the specific skills that they’re going to pick up. And also what might be something they’ll learn that might be surprising to them that they’ll learn. Craig Caton Largent: Yeah actually one of the things that constantly surprises my new students is that we don’t actually start out in digital we actually start out in traditional. So we start out with our traditional drawing class with a really great traditional artist and we also start out with a traditional sculpting class where you sculpt stuff in clay. And what this does is it helps give the student it grounds them in the physical world in terms of like in for instance like sculpting it allows them they actually get a real 3D spatial sense in the world before doing it digitally and then in as far as drawing it helps hone their drawing skills and their color. Stuff like that. Eric: Gives them a real world base. Craig Caton Largent: Yeah yeah. And I think that’s really the best way to go because a lot of this stuff is going to start out with a pencil sketch anyway before it goes into the CG world. That and one of the things that I was actually thinking of getting rid of but it turned out was one of the most popular subjects ever. We teach a class in stop motion in a traditional stop motion animation and I thought that it was kind of a dead field. I was completely wrong. Very much alive and popular and so I decided to keep that class and I’m actually trying to build on it and make it an even more robust and more professional like class that offers even more. So the stop motion stayed and that was because every open house the perspective students would come over and they’d say and I would say yeah we do stop motion they’d go, “you teach stop motion? !” And all of a sudden their eyes light up and you’re like yeah we’re not getting rid of that class maybe we’ll add another one. Eric: Do they then get into coding like what’s the next steps? Craig Caton Largent: Yeah actually that’s another interesting thing. Before I became chair a lot of the students were complaining about how hard the coding class was and that was right about the time that I took over that class and was teaching it myself. And then they actually got rid of it. And so the first thing I did when I became chair was I I actually re-instituted that program because you’ll not see a single job out there for CG people where it says you know Python coding skills a plus. Yeah. Eric: But then also too the craft shifts like technology shifts. So I mean with that in mind like in terms of teaching then how do you teach for a medium that more than any of the other crafts arts that we teach here at the school feels like it’s probably the one that shifts it fastest. Craig Caton Largent: It’s constantly evolving and there are every day we’re there are new tools out there and stuff like that and so basically I go home and I just I just start looking at I look at tutorials online and constantly seeing what’s the newest greatest thing out there and if we should try to leverage off of that because I know practically everybody in the business a lot of it. It’s calling them up and saying hey you what are you how’s your pipeline different than it was a couple of years ago. And what are you doing differently now. And they’re more than happy to talk about it because they actually want us to train people that can do their jobs. And you know and not just be. Eric: They don’t have to reteach them. Craig Caton Largent: Yeah there’s there’s there’s a huge amount of reteaching that has to happen anyway because of the proprietary software that they use in these big big places. But that being said if our if our students come in with the knowledge base that they have it makes it much easier. Eric: So it’s like you keep your ear to the train track. Craig Caton Largent: You have to. Yeah you really have to. Yeah because even the stuff that was cutting edge four years ago when we started yeah that’s old now like a couple of years ago I can’t remember Hollow Man came out right. So there is a movie Hollow Man and and then around the same time there was a Spider-man movie where Thomas Haden Church becomes Sandman. They spend millions and millions of dollars on these sand simulations right back in those days. Eric: And it looked gorgeous. Craig Caton Largent: And it’s really gorgeous right. My students do that as a tutorial. That’s how far things have gone. So from from like five or six years ago or eight years ago whenever that was like the cutting edge thing yeah. It’s now a tutorial for students. We teach like a really rounded set of stuff for both for animation and for visual effects depending on whatever part of the world that you want to head to for your career. I feel that the students that are leaving our school are actually better trained than I am because I have like for instance we have one of the greatest nuke instructors nuke is a program that we use for compositing and we have an amazing instructor here. He’s one of the world’s best and when they’re finished with his class they know more than I do about this. So we’re actually putting out people better trained than we are. And that’s that’s really great. Eric: In some ways that’s the hope too. Craig Caton Largent: It’s really neat. Yeah. And it’s been really rewarding on a on a personal level just to to have like these students of yours that graduate from your program and then all of a sudden next thing you know you’re hearing they’re they’re working on Alien Covenant and they’re working on Justice League and the new Harry Potter movie and the new the new Pirates of the Caribbean movie which all of those movies I mentioned have students that came from our program working on those. So for like the last maybe the last year and a half, just about every major movie that’s come out has had work that some of our students have been on and that’s tremendously rewarding. It’s like it’s like seeing yourself kind of live on through them. And that that that’s really cool. Eric: That’s what you hope they come out of here and they work and they I always say you know at our open houses the goal is not to be a great art student, the goal is to be a trained professional. The goal is to get a job. You know. I think we covered it all. So thank you so much. Beyond being a great teacher a great animator great effects guy you’re also just a great dude. And it’s been so much fun getting to know you over the last few years. Craig Caton Largent: Yeah I it’s been one of the best experiences of my life. Coming here to teach for one reason it is because I’ve been able to take all of the disciplines I’ve learned over the years and put them all together. And then the other thing is just working with other tremendously talented people and hanging around people with you know people like yourself. That was fun as usual. Eric: Well thank you to Craig Caton-Largent for joining us here and thanks to all you guys for listening. This episode was edited and mixed by Kristian Hayden. Our creative director is David Andrew Nelson who also produced this episode with Kristian Hayden and myself. Executive produced by Tova Laiter, Jean Sherlock, and Dan Mackler. 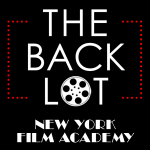 To learn more about our programs, check us out at nyfa.edu. 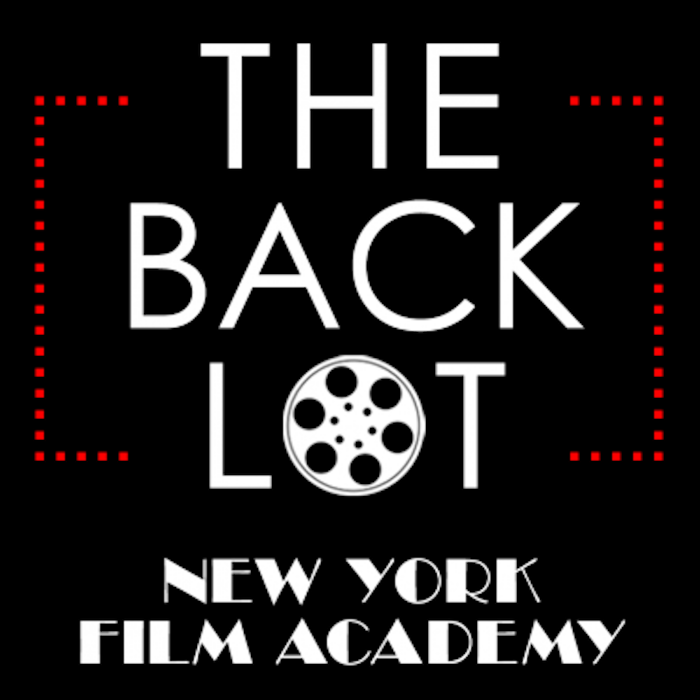 If you’d like to see some of our Q&As with the entertainment industries biggest names, check out our youtube channel at YouTube.com/NewYorkFilmAcademy. Be sure to subscribe on Apple podcasts or wherever you may listen. See you next time.